I am so excited to be joining my fellow My Crafty Spot contributors to bring you an AMAZING giveaway! We could not be more excited for this month’s prize. Like jump up, arms stretched, jumping up and down excited! My Crafty Spot and fabulous contributors are giving away a Silhouette Portrait Cutter machine! All the things you can do with this machine are endless. It will totally change the way you DIY and craft. 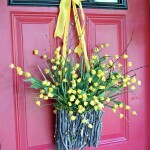 Just think of all the amazing decorations you can do for the upcoming holidays or birthdays or just for fun day! This amazing giveaway is brought to you by the fabulous contributors of My Crafty Spot and Silhouette! Feel free to check out any of these fabulous bloggers and their amazing blogs! I love being inspired by these ladies and I know you will too! So what exactly could you do with a Silhouette machine? 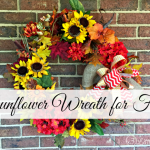 Let me give you a little inspiration with fabulous Fall projects! 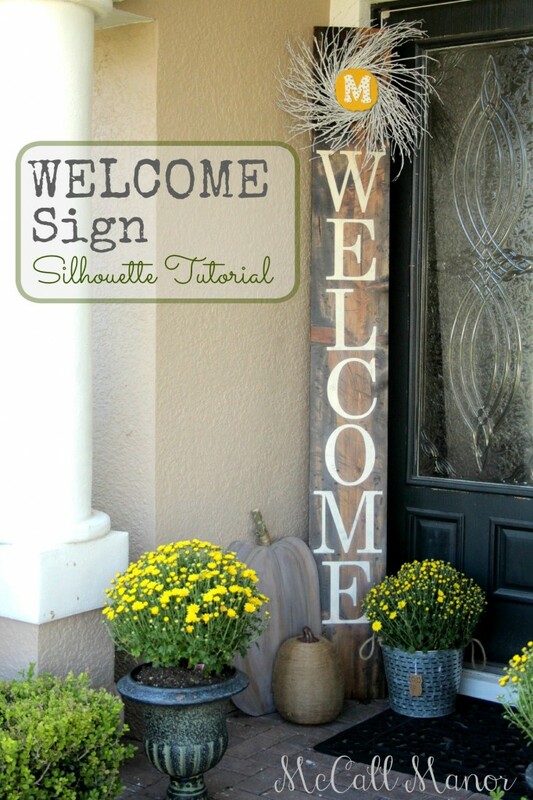 Greet your guest year round with a huge Welcome Sign that is perfect for a front porch! 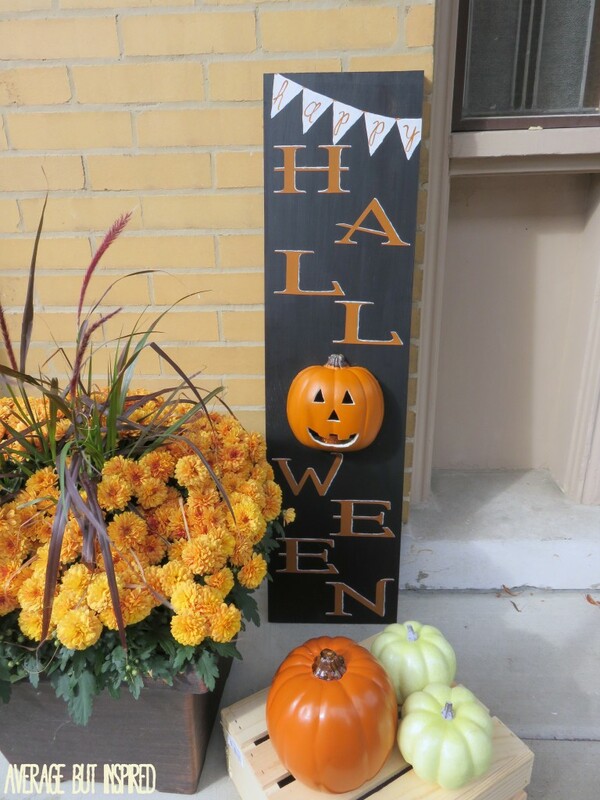 Maybe you would like to create a sign to be ready for next Halloween. With the help of a Silhouette machine you can make all sorts for custom signs. Thanksgiving is just around the corner! 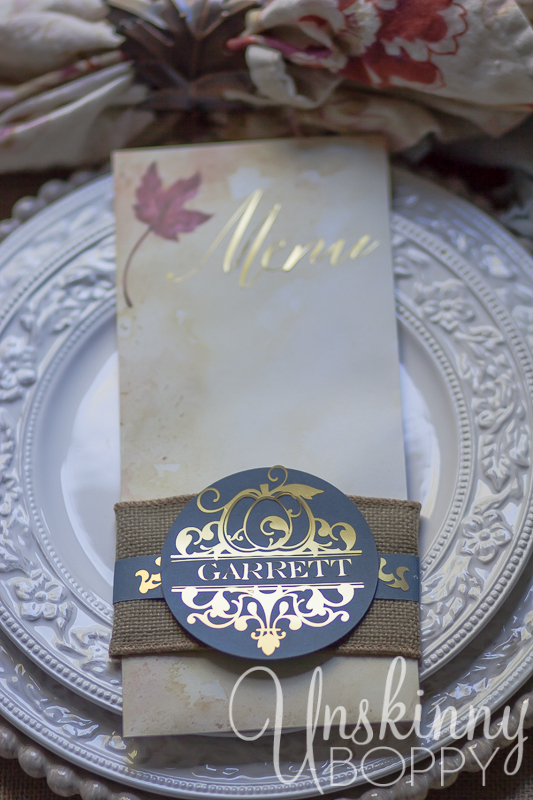 Why not a little sparkle and shine to your holiday table with a Gold Foil Place Cards? 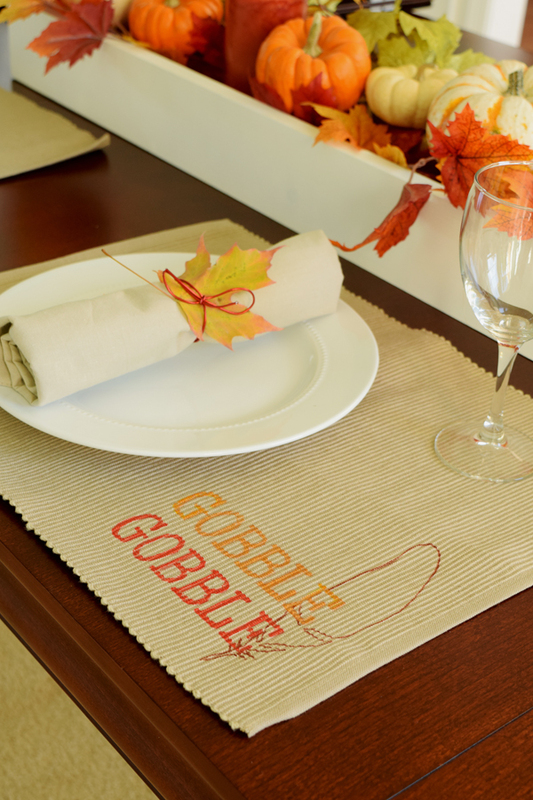 How cute are these Gobble Gobble Thanksgiving Placemats from Craving Some Creativity? Graphic wall decor is still all the rage! 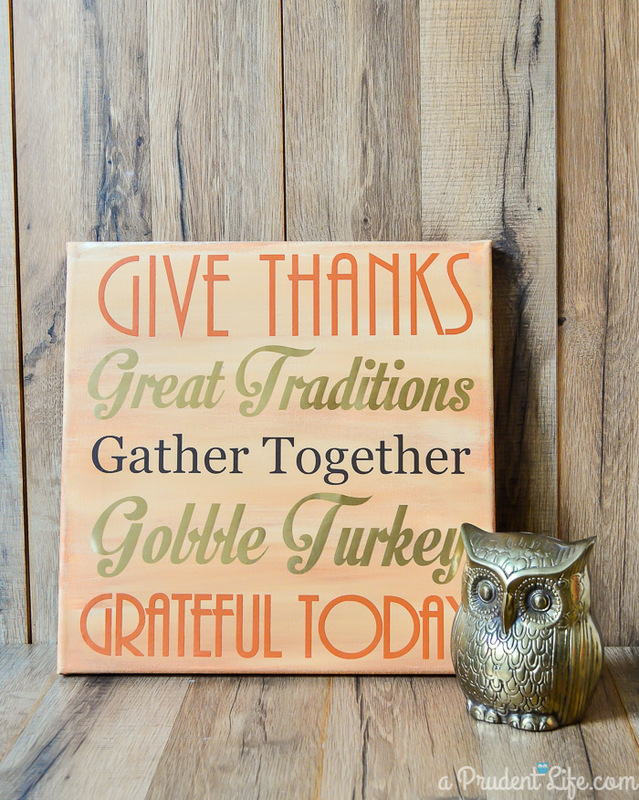 I love this DIY Thanksgiving Art from A Prudent Life. 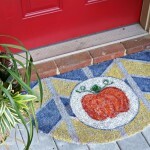 How cool would it be to create your own personalized art for your home? The Silhouette Portrait will allow you to do that! 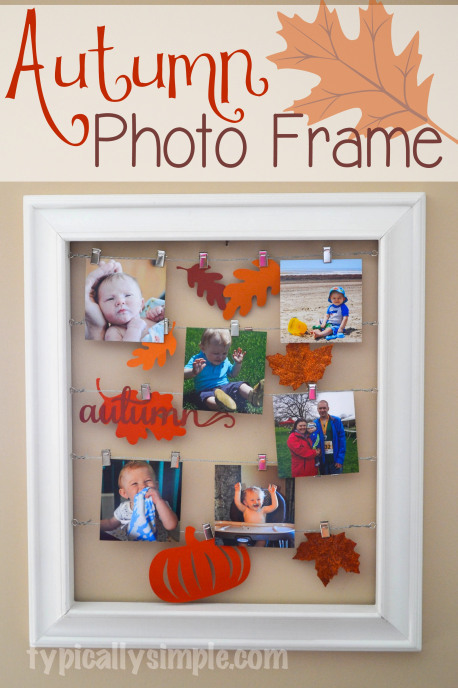 How fun is this Autumn Photo Frame from Typically Simple? I love how she is using this wall hanging to highlight photographs from her precious little one. Now here is a perfect pillow for Honey’s office update! 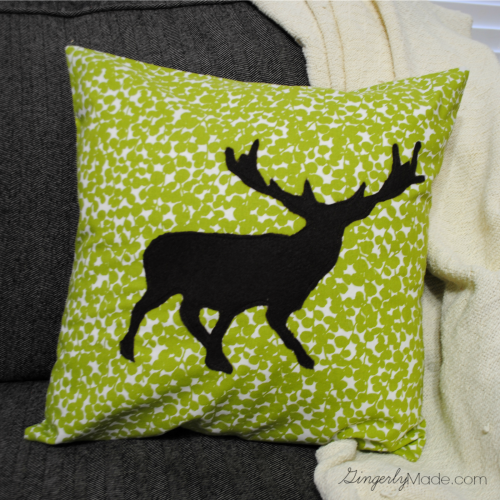 I love this moose silhouette from Gingerly Made. Are you ready to become the happiest crafter on Earth? Thanks so much for sharing my project in your beautiful round-up! I love my Silhouette! Your Thanksgiving tablescape is gorgeous! I love the place cards you made for your family. Beautiful projects! Thanks for including mine in the mix. I love your Moose pillow! 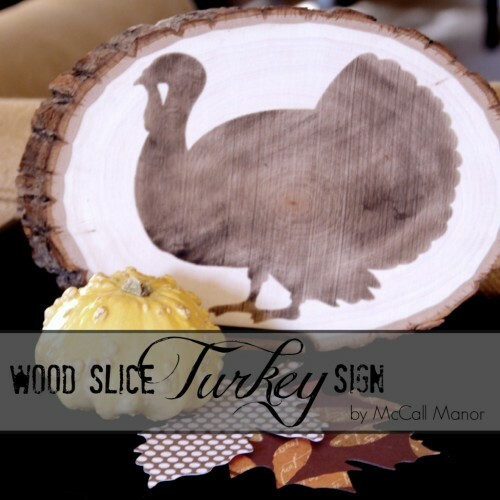 Such a fun addition to your holidays decor! I love the gift tags too! So pretty! I love the Thanksgiving Leftovers Pie Box & Labels. Me too! They would be so fun to send home with guests. Awesome! 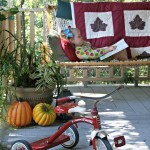 I really would love to make some clothes and fun pillows for my grandbabies. I know they would love them. Your grandbabies would love them! How wonderful to be able to make them something to treasure. I know. 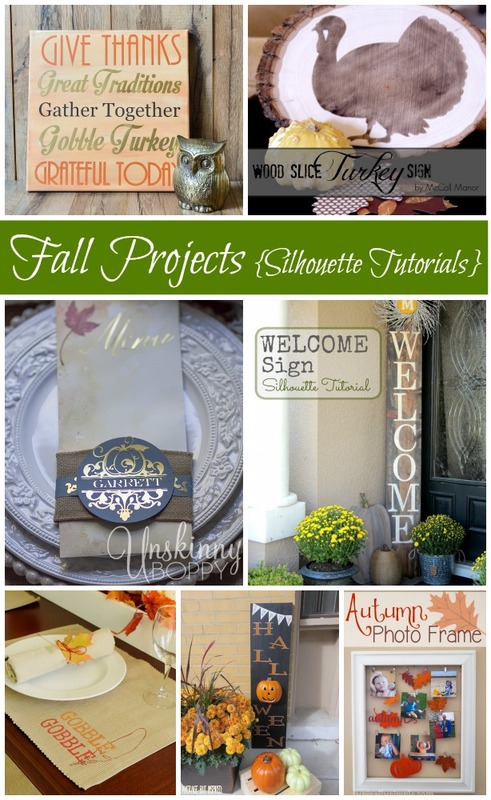 I want to make all of these Silhouette projects! I want to do the FAUX HAMMERED TIN LUMINARIES. They are really nice. Oh those are so awesome! Wishing you luck! I would start off with some holiday decor. 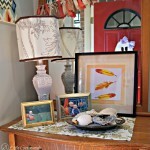 I love the Faux Hammered Tin Luminaries.